Aloha Quantum Family, my name is Xi, EarthStar Healer, 6/9D Angelic Andromedan starseed reporting for service! I am an oracular singer and template holder in active service to the restoration of Divine Coherence on Earth. This 3 day virtual retreat is a ceremonial space in which we bring the Light of our Divinity to the recesses of collective Consciousness, to gain the perceptive skills to step forth as a Custodian of the New Earth. In order to truly move into the Frequency of a New Earth, which is the way to co-creating New Earth, we have to clear out all the debris of the false matrix. This webinar moves through the various dimensions of our being that may still carry this debris. Through guided shamanic journeying, we will learn to identify layers and fields of subtle energy where the false matrix hides. From artificial realities of AI programming, to implants, portals and cellular degeneration, I am sharing my multi-dimensional library of frequencies both through words and energy, so they can be accessed psychically. This is an in-depth dissection of where past programs, implants, belief systems and entities may be hiding. My galactic scientist self have explored in depth the multi-dimensional technologies and distortions which were used to trap human consciousness and spirit. I share the findings of my research with you in this webinar. On this continuation of our previous explorations into the false matrix and its effects on our experience in our body, this webinar shares the various light technologies and shamanic healing techniques designed to address the effects of the false matrix, and Restore Divine Coherence in the multi-dimensional body. Through these techniques we become true Custodians of the Earth, learning to use these techniques not only to heal our whole Self, but that of the Collective and the Earth. This third webinar, we put what we have learned into action. 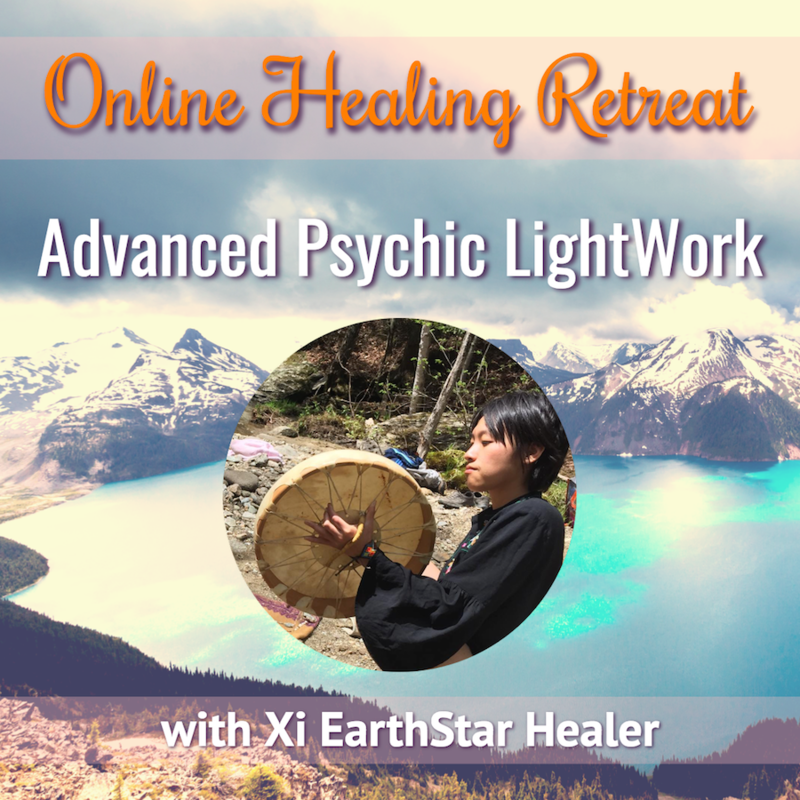 We will embark on a shamanic journey together to connect with our Higher Selves, bask in the delight of activating Source energy, and perform a clearing and prayer for Humanity and the Earth . Through this ceremony we will experience how to perform this sort of collective grid-work with our Higher Selves and Source.